SEO helps in ranking your website higher on Google and other search engines getting your business more traffic and sales. At Complete Cloud, our optimization experts use the latest on and off page SEO techniques along with advanced analytics to help you achieve the desired results. The section below provides answers to some of the most frequently asked questions on Search Engine Optimisation. Learn about how search engine organic rankings work, onsite and offsite SEO techniques, latest search ranking algorithms and more! "What is search engine optimisation (SEO)?" Search engine optimisation (SEO) involves improving the placement of your website in the organic search results of search engines such as Google, Yahoo and Bing for the keyword phrases related to your business. 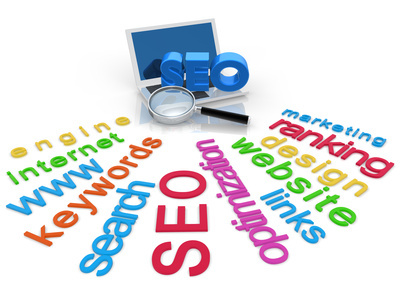 "What is search engine optimisation (SEO) used for?" It’s important to note that unlike other forms of online marketing such as PPC, SEO generally will not generate immediate results. SERP is a search engine return page, this is the page that includes the list of search results that is displayed to a user after they enter their search term in the search engine. "How do search engines rank websites?" Search engines use different criteria to rank websites and determine the most relevant website for each search term. This criteria is the basis of the search engine ranking algorithm which drives the results. The algorithms are changed constantly as search engines try to find ways to provide users with more relevant results for their search terms. Google users over 200 different factors in their search engine algorithm and have made a few major changes to the way websites are ranked in recent times. A large part of search engine optimisation is keeping up with the most important algorithm changes and determining how this will impact individuals websites rankings. "How do I improve my search engine rankings?" Search engine optimisation (SEO) includes making onsite changes to your website and completing offsite activities to increase your website’s search engine appeal. The more your website meets the search engines ranking criteria the higher your website will appear in their search results. Onsite and offsite activities are explained in further detail below. Content is being given greater importance in search engine algorithms. For the best results, align your content with what your audience will be looking for. Offsite search engine optimisation (SEO) includes building your websites standing in the broader online community. A large part of SEO is increasing your websites authority on the web by building inbound links from other websites. These links are seen as confirmation that your website has valuable information and needs to be displayed higher in search results. "How do search engines generate revenue?" The search engines key purpose is to return websites that are the most relevant and useful to the user based on the search completed. By returning the most relevant results to users, the users continue to use the search engine. Search engines generate revenue by charging advertisers when a user clicks on their advert which is called PPC. The more people use the search engine the more revenue the search engine can charge advertisers. "What is the difference between paid and organic search results?" Search results in the most popular search engines are broken down into paid and organic results. Organic search results appear in the middle of the search results page. These results are determined based on the search engines ranking algorithm with the most relevant results at the top. Paid search results display advertisements from advertisers that are relevant to the keywords being searched. They display at the top and right hand side of the search page. These results are based on the pay per click (PPC) advertising model. In the image below, organic search results are highlighted in red. "What is white hat SEO and black hat SEO?" SEO techniques can be defined in two broad categories, white hat and black hat. White hat techniques follow the search engines guidelines and make content easy for search engines to index. Black hat techniques are not approved by search engines and involve deceptive techniques to trick search engine algorithms. An example of a white hat technique is as creating content for users not for search engines. A black hat technique can be creating hidden text or text with the same colour as the page background. Search engines penalise websites for using black hat techniques by reducing their rankings or removing the website from their search results.